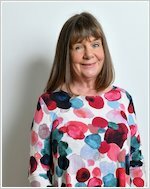 Cosy as a big knit and sweet as sugar. A warm, funny flip-flap tale by the classic creators of The Gruffalo. Deep in the heart of Acorn Wood, Bear is writing letters to his friends. But what are his letters about? 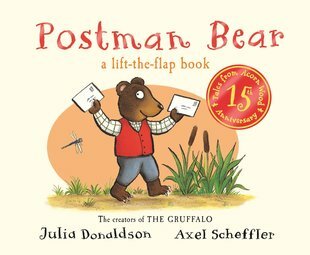 Lift the flaps and join Frog, Squirrel and Mole as you peek at Postman Bear’s mailbag! This cute rhyme is packed with funny details to chuckle at, and surprises to look for when you lift each flap. It’s a feast of fun in a charming woodland world!